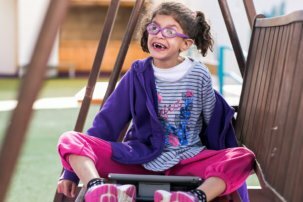 For this week’s Shabbat Smile, we are sharing an interview with Limmud, an organization led by Eli Ovits that is working to include Jews with disabilities. What are your results/performance metrics? In 2017, Limmud programs reached 40,000 in 42 countries. At the end of 2017, there were more than 90 Limmud communities around the world, led by over 4,000 volunteers. Limmud Festival (Limmud UK’s annual 5-day conference) attracts 2,500-3,000 participants on an annual basis, some 12% who identify as having additional needs. Does your organization have policies that support meaningful inclusion of people with disabilities at all levels? If yes, please describe; if not, please indicate efforts underway to develop them. This is one of the most important aspects of Limmud … teams must think continuously about what it’s like for a variety of kinds of Jews to take part in a Limmud event. Participant Care starts from what kind of information you provide, what tone of voice you adopt, how you make people feel able to play a part, how you make arrangements for people with special – dietary, sensory, physical or emotional – needs. [It] requires that you always think about how you might involve segments of the community who don’t currently come and what it might feel like for someone from a section of the community who doesn’t usually come if they were to turn up. Practically, this translates to: all Limmud event spaces in the UK being wheelchair accessible and at Limmud Festival (Limmud UK’s 2500+ person 5-day conference) hearing loops and large print handbooks are available for sessions, an ASL/BSL accredited interpreter is available, the front two rows of presentations are reserved for those who require that location due to a disability, complimentary places are given to personal aides, number of motorized scooters are available for use, and all volunteers receive mental health training. Festival also has a distinct program, called Limmud La’am, which brings teens and adults with cognitive disabilities to Festival and supports their participation and inclusion. It is important to note that Limmud Festival’s youth and teen programs are recognized for their inclusivity, with a significant number of participating children having special/additional needs. 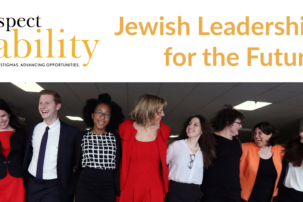 Limmud encourages all Limmud communities around the world to adopt the same or similar policies to that of Limmud UK, and at the same time is working to broaden the UK’s inclusion policies. Limmud is currently working to establish a global inclusion policy to be adopted by Limmud communities around the world. Does your organization have a disability advisory committee/inclusion/diversity committee? If so, please describe some of your progress; if not, please indicate efforts underway to ensure your organization reflects the community at large and is inclusive. Limmud has an inclusion committee led by an experienced inclusion expert. The committee is tasked with encouraging Limmud communities around the world to adopt appropriate inclusion policies. Limmud is working to expand this committee and to increase the number of trainings this committee provides to board members, advisory committee members, and volunteers in the UK and around the world. Do all your programs and projects include people with disabilities? If not, why not? If so, how do you plan to identify, reach, and welcome them? 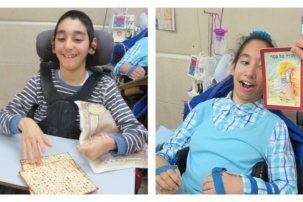 We hypothesize that all Limmud programs include people with disabilities. Limmud does not specifically ask participants about any disabilities, our application asks about any required accommodations. Understandably, Limmud does not count the number of people with disabilities at events – therefore we cannot fully answer this question. Limmud knows of several people with disabilities (visible and hidden – including mental health conditions, autism spectrum) who do not request accommodations and are regular participants at various Limmud events. Limmud strives to create programs and event spaces that are accessible to people with a variety of disabilities (both hidden and visible) and participants know that certain accommodations do not need to be requested, as they are a normal part of Limmud events. That said, Limmud would like to increase the number of people with disabilities participating in Limmud Festival– as volunteers, presenters, and participants – and to accomplish that, Limmud is partnering with organizations who work with people with disabilities to advertise Festival and recruit new participants. In addition, Limmud is continuously working to create more inclusive programming so everyone feels included in our programs. Are your staff and key lay leaders trained in how to welcome and respect people with disabilities equally? If so, please describe. If not, are you planning to change that? In the UK, Limmud is striving to expand and increase the training Limmud volunteers and staff receive and is therefore working on developing a formal training program for all Limmud volunteers to go through before starting to plan any Limmud event. Currently, the head of the Limmud Inclusion Committee, who is also a member of the Limmud board of directors, leads training for Festival volunteers along with local UK disability groups. Outside the UK, the head of the Inclusion Committee leads inclusion training in Limmud communities, as has Shelley Cohen, a US-based inclusion expert. We are confident that significant improvements in the inclusion and accessibility of Festival will be in place in the coming year, as two of the three 2019 Limmud Festival chairs are influential inclusion activists. One chair is an inclusion activist in the wider UK world and is Deaf, the other chair leads Limmud’s mental health strategy and is a former Limmud Inclusion Committee chair. We look forward to working with this team to make Limmud Festival 2019 the most accessible and inclusive Festival to-date and one which will be a model for Limmud communities around the world. The Limmud offices in London are temporarily in a converted garage, rather than a formal office space. In the current set-up, the main meeting room and 50% of the offices are wheelchair accessible. Limmud hopes to move to a formal, accessible office, with greater educational facilities, once funding is secured. Describe the accessibility of your website and social media to people with hearing and vision impairments. At present, Limmud is looking for funding to develop audio and text versions of all online resources and we are currently in talks with a UK NGO to make all digital and print resources available to people with hearing and visual challenges. The Limmud.org website is also being redesigned and aims to be fully accessible. Do you employ individuals who have disabilities? If so, what are their jobs? Do they receive the same compensation and benefits as all other employees in like positions? If not, please describe all remedial efforts underway. As Limmud is a mainly volunteer-led organization, there is limited staff (six full-time and two part-time employees). At present, no staff members have visible disabilities. We do not know whether any have any hidden disabilities. As for our volunteer leadership, several people with disabilities sit on various committees including: Programming, Shabbat, Young & Teen Limmud, Inclusion & Accessibility, Participant Care, Sustainability, Knowledge Management, Programming, Registration, and Finance. As we continue to work with partner organizations to recruit more people with disabilities to participate in our events, we hope that additional people with disabilities will choose to volunteer in addition to participate in events. Please describe how you educate your Board of Directors or Trustees about serving and partnering with people with disabilities, and your efforts to ensure that your board is diverse/represents the people you serve. The head of the Limmud Inclusion Committee, herself an inclusion expert, is a member of our board of directors overseeing the board’s inclusion portfolio. She regularly leads training of the Limmud board, including at the upcoming international board retreat. Limmud feels that training the international board members is a critical component for creating quality inclusion practices in Limmud communities around the world. Limmud NA is a registered 501c3 nonprofit. Representing Limmud in 43 countries, Eli Ovits supports the development of Limmud, its programs and volunteers. Eli is a Captain (reserves) in the IDF Spokespersons Unit and a graduate of Hebrew University. He has lectured/traveled widely, working to strengthen our global Jewish community. Previous: Career Lessons from a Romance Writer: Robert Rudney on Life, Love and Pursing Your Career in D.C.